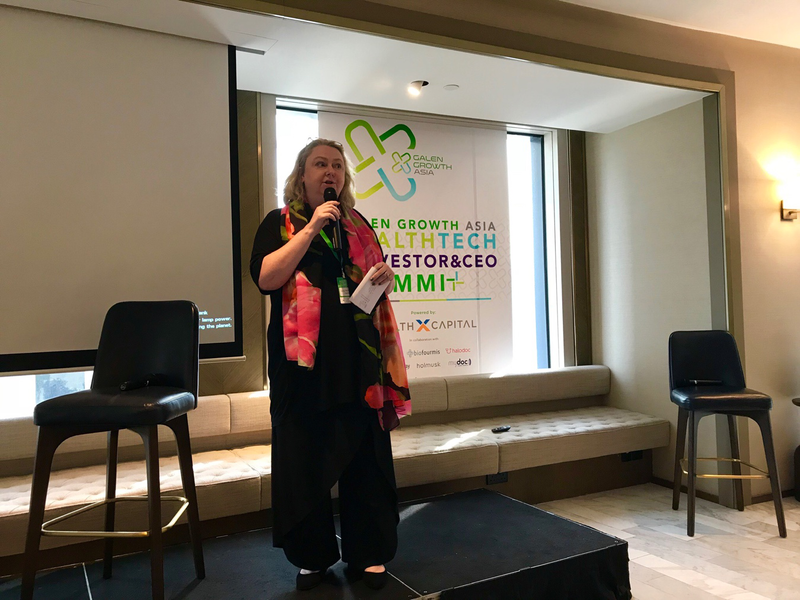 Speaking at the Galen Growth HealthTech CEO Summit, Ogilvy’s Lucy McCabe chaired a panel with Ogilvy Health & Wellness Chief Digital Officer, Ritesh Patel, and Ogilvy Consulting Senior Partner, Pierre Robinet. 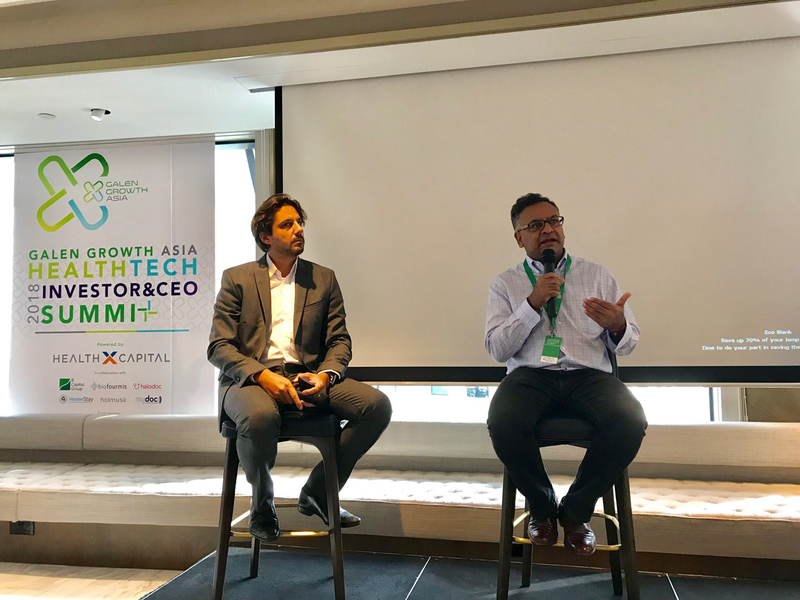 They discussed the challenges facing pharma brands in the era of the connected, self-tracking consumer, and how data can help them tell more personalized and compelling healthcare stories. The first thing Patel points out is that in light of the technology available, healthcare marketing is progressing from pure content to also encompass services which will make consumers manage and monitor their health in both mind and body. “This isn’t a point solution environment anymore. You might take one use case and fix it with one kind of tech that you’ve deployed, whether that be an app or wearable, but in our world a digital health is something that should fit into your daily routine or workflow,” he says. He references Sharecare, a product which enables millions of people to collect and track their health data from morning to night: “The entry point is a 100 question profile, called real age which uncovers your health and creates your preferences. “I think we all see the value we can get from a connected digital health ecosystem in the healthcare space,” says Robinet. “But we need an integrated system, and we also need things that are motivating and rewarding people for taking control of their own health data.” He cites the “4 I’s” as central to the digitalisation of healthcare: Independence, Integrity, Identity, and Inclusion. This means sharing data in a secure way and protecting individuals using technologies like blockchain, such as in Estonia, where every citizen has been issued with a unique blockchain digital ID. “This is the only way to engage people and enable secure and trustworthy participation,” he says. However, Patel adds that scaling issues may arise due to the relative terms of this value exchange; what is meaningful and worth their data to one consumer might not apply to the next. Collecting and compiling these vast arrays of data will have definite impact on the cost of healthcare, the delivery of care, and our ability to personalize it. The impact of an empowered healthcare management and delivery system on real human outcomes will be broadly divided into two areas; how it affects the individual, and how it affects public health. “From a public health perspective, there’s a huge opportunity as we start collecting data,” says Patel. With regards to the super-aging populations or “silver tsunamis” in countries like Singapore, he believes it will be the caregivers who will take control of that data as they are the generation who will know what to do with it. Down to the human level, Patel predicts that it will all be about convenience and a perceived value exchange. He cites the estimated 4,000 people in Sweden who have implanted a subdermal chip in their wrists for convenience purposes, enabling them to unlock their cars, enter office buildings and pay for public transport with a simple wave of the hand. “There needs to be education on the benefits of taking that data and putting it somewhere, as opposed to just leaving your FitBit in a drawer somewhere,” he says. Pharma companies have traditionally never had much of a direct connection with the patient. Now the patient has evolved into a connected consumer who is more empowered by knowledge to proactively manage their own health than ever before. “30 years ago, the doctor was the expert. Now, we have access to so much information that your own personal biases come into play,” says Patel. “It’s the same with the legal industry, and with financial services; there used to just be experts, but now people can, to some degree, do things themselves.” “we are seeing the death of the expert in some areas” he adds. “To tackle some of the biggest consumer health challenges, especially in emerging markets, we need people to shed behaviors. And we need to examine our human biases,” says Robinet. He refers specifically to optimism bias, or the idea that a consumer will understand the risks of a particular illness and the benefits of a preventative treatment, but simply not believe that they will personally need it. Leveraging data to convey this information in a highly personalized way has the potential to break through this kind of bias. Using digital health tools and the resulting data to solve problems across the health continuum will increasingly require partnerships between big pharma companies and disruptors; these collaborations will yield huge opportunities, but also cultural challenges. Ultimately, Robinet is hopeful that the many benefits of digitalization and biohacking will help us all move towards a world in which care is prioritized. “The more we augment doctors and daily jobs, we are going to earn quality time which can be spent caring for others,” he says.